Just started with LeadQuizzes? Follow this 6 step guide to creating your very own high converting quiz to help you predictably generate more leads and sales. Determining your target audience and a compelling offer will come before the actual quiz creation process. You need to know what kind of journey you’re going to lead participants on. Creating the end goal is vital in order to convert participants in the first place, and to convert the right people (a.k.a. People who need what you’re selling). This step includes more than just “career women age 35-50.” What does your ideal customer struggle with? Where do they shop? Who do they go to for advice? To begin creating your quiz, you will need to start with the end in mind. What is the next step you want your participants to take? Is it to scheduled a free consultation call? Sign up for a course? Buy a specific product? Risk Reversal - a free trial, money back guarantee, or something that takes the risk out of them buying from you. Bonuses - pdf downloads, extra trainings, a coupon for their next purchase, etc. to build more value in what they’re getting. Urgency/Scarcity - Is there a time limit for purchasing? A limited number? etc. to cause them to buy now. Here’s a great example one of our clients, Annmarie Gianni, used for the compelling offer at the end of their quiz. Can you spot the components of a compelling offer that they used? The type of quiz that you pick can have a very big difference in terms of lead capture percentage, virality, sales conversions, and ability to segment your leads. Below are some of our favorite types of quizzes to choose from that work great with LeadQuizzes! E.g. What diet is right for your personality? 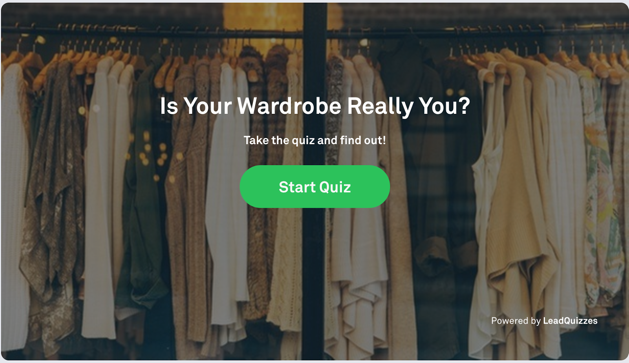 These quizzes are extremely shareable and will probably have some of the highest lead conversions - think Buzzfeed-style quizzes that are fun and entertaining and may not necessarily provide deep results for your audience. E.g. 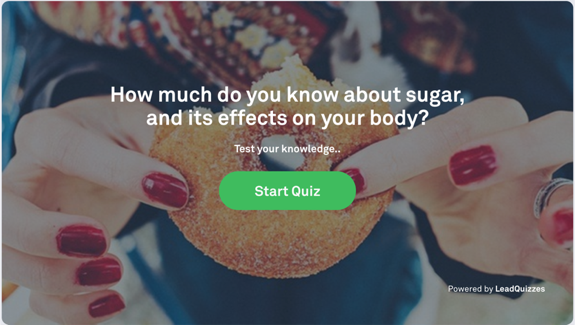 Do you know how much sugar you are eating? This type of quiz plays on the human drive to be smart. This type of quiz is also great if you have a product or service that requires a certain level of education. The quiz will allow you to show your quiz taker the gaps they may have in their understanding. E.g. Should you buy a Mac or PC? This type of quiz is great if you have multiple types of products and want to tell people what is best for them. It makes it easy to automate the consultative sales process and recommend the perfect product. This quiz is great for segmenting your list and creating personalization of content and email campaigns. E.g. How likely are you of having a thyroid disease? 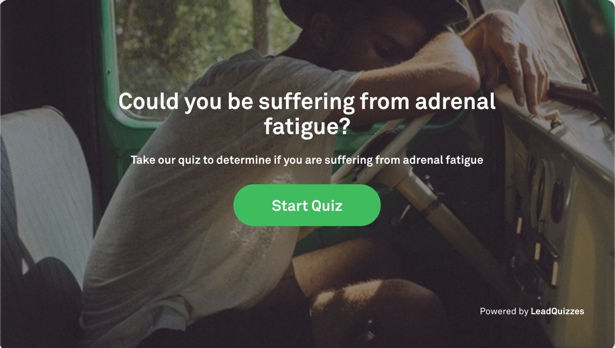 This type of quiz helps people figure out if they may have a problem. It works really well by playing off of human fear. It also leads very well into a sale if you position your product or service as the solution. E.g. 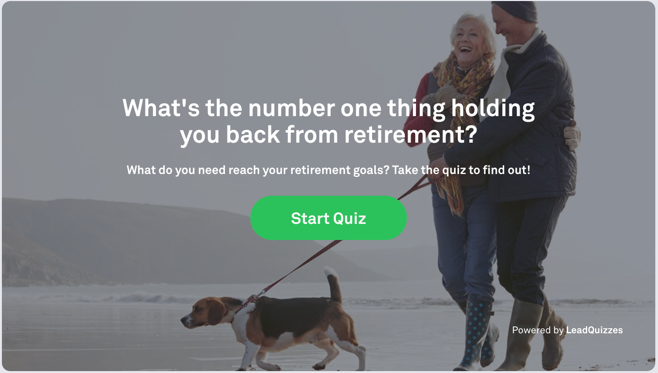 What’s the #1 thing holding you back from your retirement goals? 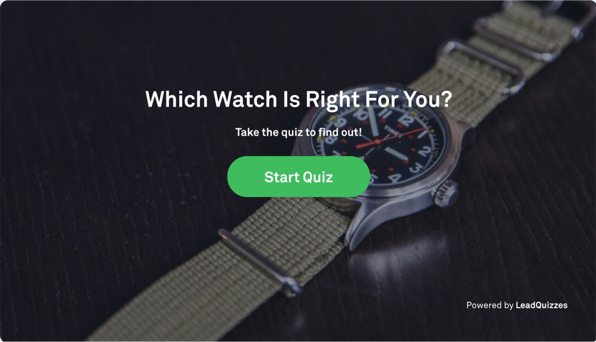 This type of quiz does a great job of pinpointing what is most important to your leads. It allows you to segment them based on a specific problem and offer personalized content and recommendations. For the example above, the thing holding someone back from their retirement goal could be, poor goal planning, poor savings plan, poor asset diversification, etc. For each of those buckets, you can offer personalized content and product recommendations. 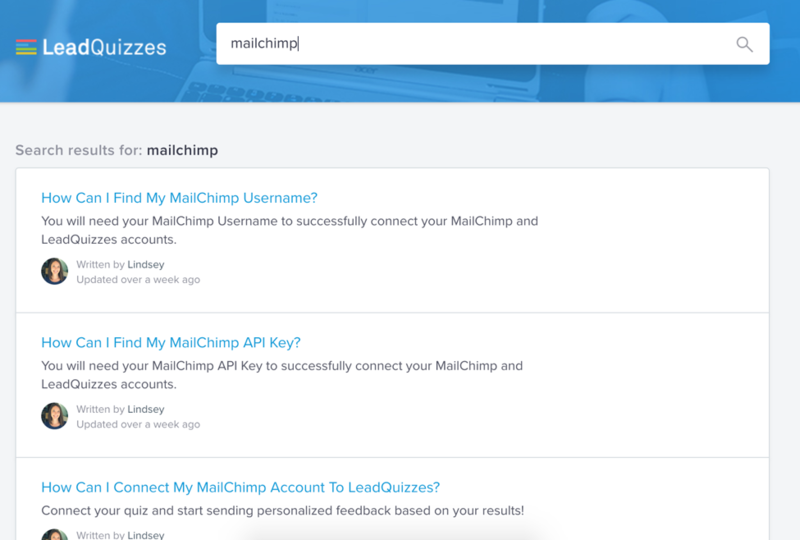 Now that you know who you are targeting, where you want to lead your quiz takers, and what type of quiz you may want to run with, it’s time to select a quiz topic and title. Before writing your quiz you need to narrow down on what topic you want to choose. If you’re struggling to come up with a quiz topic, Alltop, a news aggregator, is a great tool to find popular topics. Enter your niche in the search bar, and you’ll get a whole list of results. Another way to find a great quiz topic is to search Quora or Reddit to find unique angles on your quiz idea. Once you’ve chosen a topic, you need to pick a title. According to a study by Copyblogger, 8 out of every 10 people read your headlines while only 2 of those 10 proceed to read the content itself. In fact, a good title can increase traffic by as much as 500%. A compelling headline sets the foundation for your whole quiz and so we recommend spending some extra time on this step to really knock your headline out of the park. For example, if you had to choose between the following quizzes, which one would you click? Obviously the second quiz. It’s much more fun and challenging. The team at Upworthy, who’re amazing at creating viral content, create up to 25 titles for each piece. Come up with at least 10 to 15 titles, and get everyone’s vote on the best one. Test that headline against alternate headlines. Find out which headlines get the most engagement and then use those. You can also use headline generators like the Headline Analyzer by Coschedule and TweakYourBiz’s title generator to add that extra oomph to your title. Once you’ve selected a title and topic, we recommend coming up with your results next. Your quiz results are critical in not only driving shares but also driving leads to signup for your product. 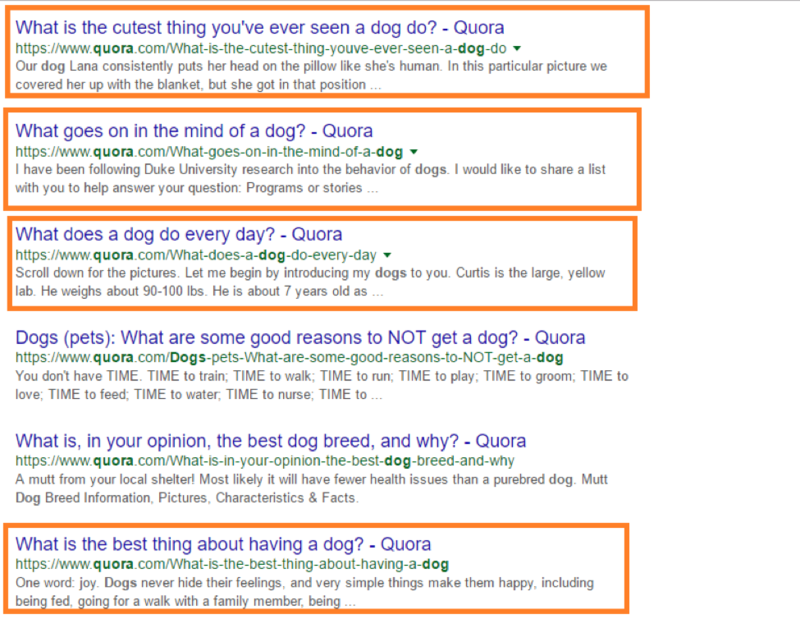 If you’re trying to drive virality and get people to share your quiz, remember that people like to share quiz results when it makes them look good or they are entertained by the results. 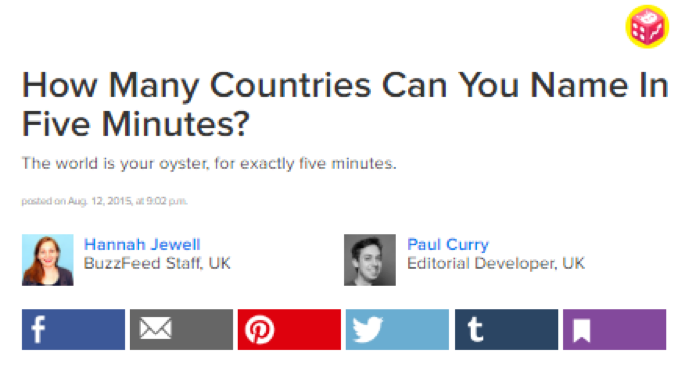 For example the “How Many Countries Can You Name In Five Minutes?” quiz is a competitive quiz and would probably lead to lots of shares if the quiz taker did well. Or a quiz on “What Celebrity Business Leader Are You Most Like?” would make them look good and probably share very well. From a sales perspective, if you’re selling an impulse purchase, a compelling offer or discount may be enough to get someone to buy. However if you are selling something that is more expensive or requires more education, the results are a perfect time to build trust and rapport and deliver a personalized result based on the questions they answered. Before you start writing your questions, it’s important to understand how the results will be given to quiz takers. LeadQuizzes’ logic was built so that it would be very easy and simple to setup a quiz. How it works is outcomes based. As you can see above, each answer relates to a specific result. So if answer A is selected the most and it relates to result 1, then result 1 will be given to the quiz taker. Now that your results are in place, it’s time to start writing those questions. Quizzes have some of the highest lead conversion rates in the industry. The best quizzes performing between 30-60%. But for your quiz to perform that well there are some things you must keep in mind. You want someone to get through your quiz in just a couple of minutes so use simple words and keep your questions short. According to Neil Patel, if you ask less than four or five questions, users are less engaged and are less likely to enter their email address at the end, and if you ask them more than 15 you are going to get less leads but they will be more relevant and more engaged with your product or service. We normally recommend about 8 questions. A picture says a thousand words and can be consumed much faster than text. If possible, use pictures in replace of text. Once your quiz is written, you will want to connect your marketing and advertising integrations. Once you're connected, make sure to select the correct integration options on your start page and on the outcome pages so that you can tag and segment your leads. LeadQuizzes supports integrations with the following marketing platforms. Search our help documentation for your marketing platform and instructions on how to setup your integration. 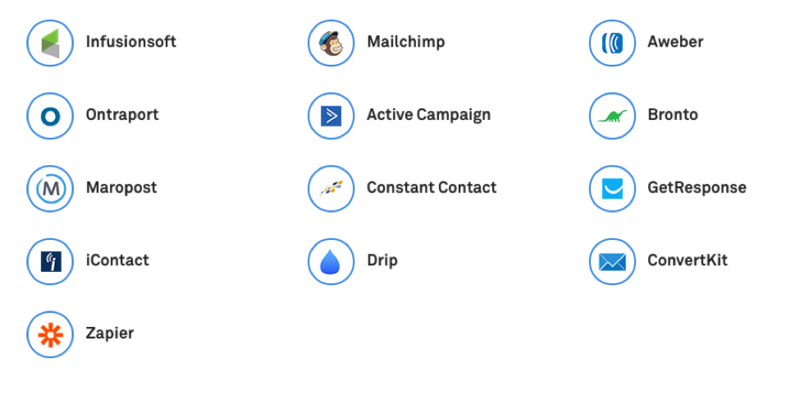 LeadQuizzes supports conversion tracking for the following advertising platforms. Search our help documentation for your advertising platform and instructions on how to setup your integration. You are now well on your way towards a high converting quiz that predictably brings in new leads and sales every month. 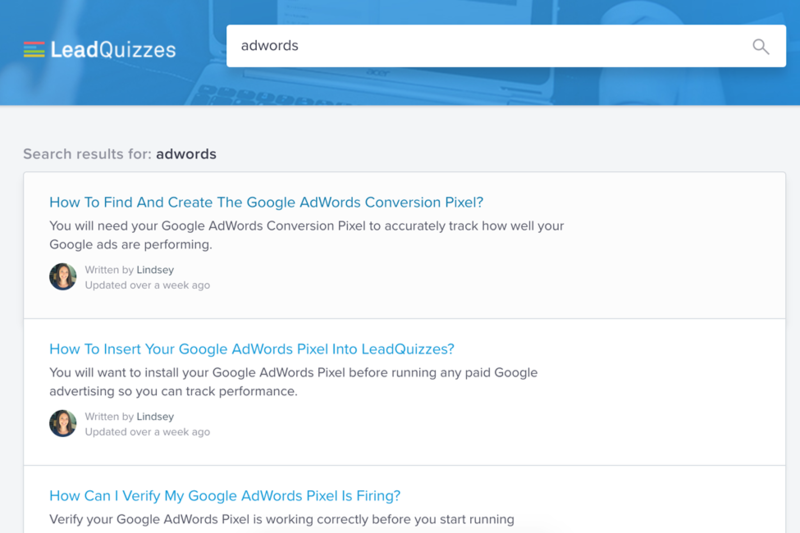 Now that you’ve created your quiz it’s time to publish, promote and optimize your quiz!